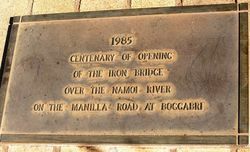 The plaque erected by the Boggabri Historical Society commemorates the centenary of the opening of the iron bridge on the Namoi River. 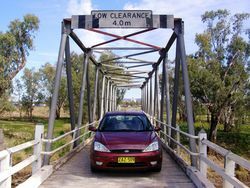 The Iron Bridge across the Namoi River near Boggabri was built in 1885 and is considered to be a good example of iron lattice truss bridges being built at that time. The main span is 39 metres long; total length is 131 metres. 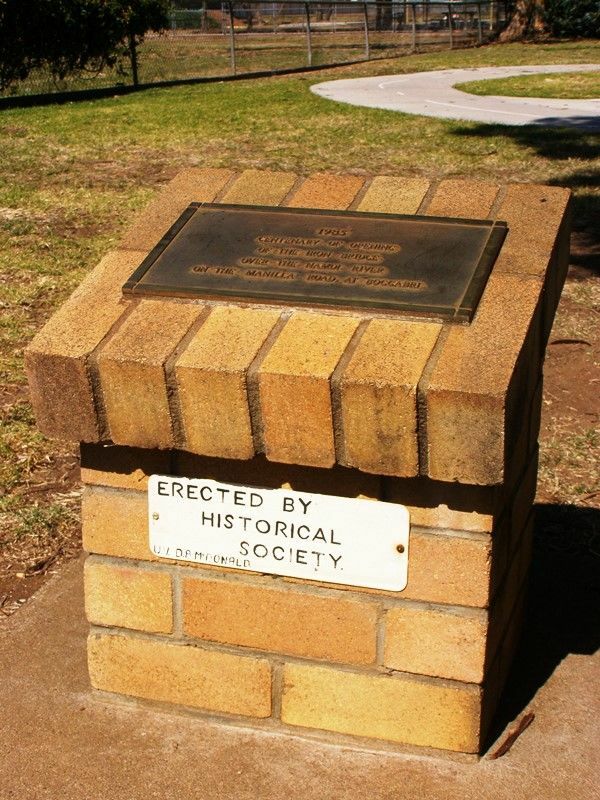 The iron was imported from England, the design was by Department of Public Works bridge engineer John A McDonald who designed several similar iron bridges for New South Wales between 1881 and 1893.